Easily breaks down for transport with the heaviest piece weighing only 42 lbs.! Introducing the Pioneer 2 deluxe 4 wheel travel scooter. This scooter offers the best in 4 wheel stability combined with portability. 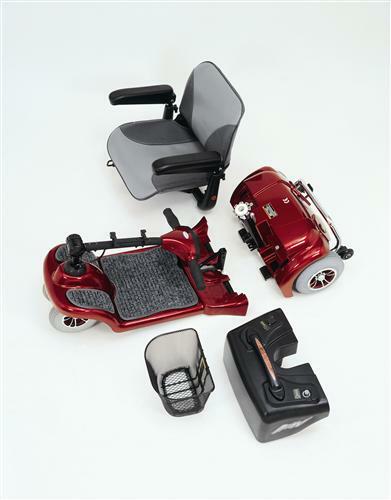 The Pioneer 2 deluxe will easily disassemble into 4 easy to transport pieces. Remove the seat, battery pack and separate the base in seconds to allow for easy transport in the back seat or trunk of any small car, with the heaviest piece only 42 lbs. 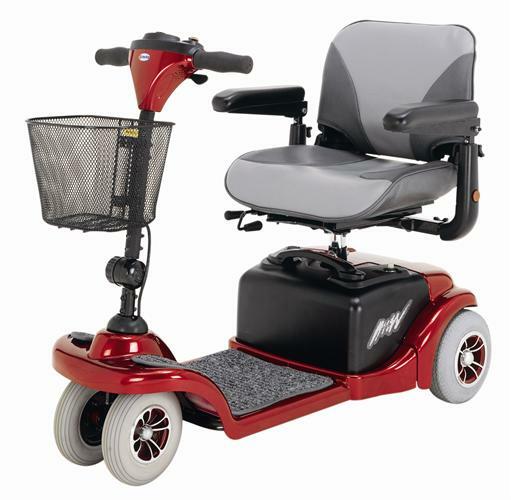 With the dual front wheels with spring suspension, 23" total width and foldable, swivel vinyl seat with height and width armrests, the Pioneer 2 deluxe offers great compact features in an economy priced 4 wheel scooter. The Pioneer 2 deluxe will travel over rougher terrain with it's 2" ground clearance and has the heavy duty weight capacity of 300 lbs. making it suitable for a wide variety of users. The larger 20 ah batteries offer more power than most travel scooters and the foam filled tires make this unit virtually maintenance free. 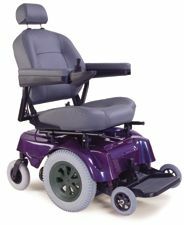 Compact, 4 wheel design offers great maneuverability and stability. Heaviest piece when disassembled is only 42 lbs.!!! Padded, light weight seat with flip down seat back. Width and height adjustable arm rests. Easy to remove battery pack with 3 amp off board charger.